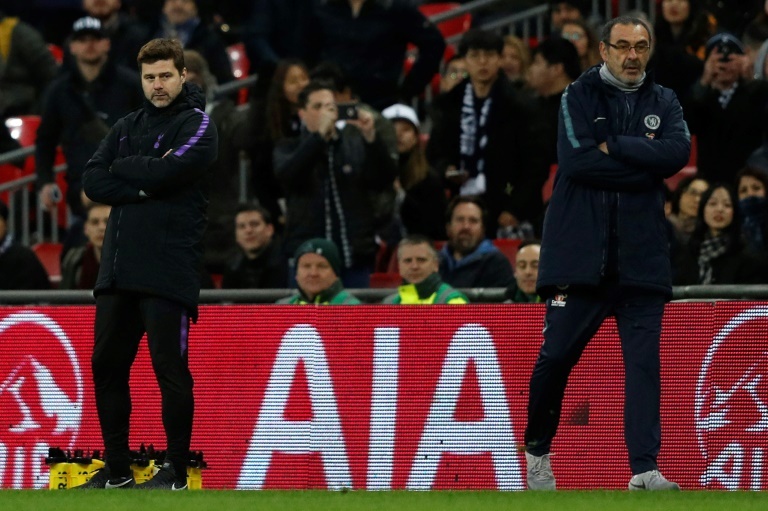 Tottenham Hotspur head coach Mauricio Pochettino said he was “unhappy” to see his side beat Chelsea 1-0 in the first leg of their English League Cup semi-final via a disputed penalty awarded by VAR. Harry Kane scored the only goal of the all-London tie at Wembley after 26 minutes with a spot-kick given when referee Michael Oliver called on video technology. Chelsea were convinced Kane had been offside before racing into the box, where he was brought down by Kepa Arrizabalaga as the Blues goalkeeper came hurtling off his line. It took more than 90 seconds for VAR to confirm Kane had indeed been onside before match referee Oliver awarded a penalty. “To get the benefit is nice but I am unhappy to win the game like this,” the Argentinian added. “I prefer the technology but in a different way. Being clear, I am pro technology because you cannot stop evolution but we are waiting so long, it is not clear what are the rules. “We all have to agree, the players, the coaching staff, I watch every week La Liga and nobody is happy, the big clubs and the small clubs. Meanwhile, Chelsea boss Maurizio insisted a Blues video showed Kane in an offside position and also questioned why VAR was now being used in League Cup ties but not in the Premier League. “A few minutes ago I watched the video from our camera. It was offside. Our camera was in line with Harry Kane,” Sarri said. “Offside with the head, the knee. Offside. It was really important the linesman carried on running, he had a big impact on our defenders. Kane, however, had no such qualms over the penalty award.